Arthur Murphy, the RTÉ TV and radio presenter probably best known for hosting Mailbag, has died at the age of 90. Murphy also enjoyed a side career as a pop singer and appeared on TV shows alongside the likes of Jimi Hendrix and Engelbert Humperdinck. He also presented many TV and radio shows in the UK before returning to Ireland. Mailbag was broadcast on RTÉ One from 1982 to 1996 on Saturday evenings and dealt with viewers' letters concerning RTÉ TV programmes and broadcasting in general, including questions and complaints about the broadcast of the Angelus and a flood of letters every time RTÉ changed its logo. Murphy continued using the Mailbag concept into the 2010s, with his regular E-mail Bag item on The Ray D'Arcy Show on Today FM. D'Arcy paid tribute to Murphy, remembering him as "a true gentleman and a true professional". Producer of The Ray D'Arcy Show on RTÉ Radio 1, Will Hanafin, who worked with Murphy on E-mail Bag for ten years, called the presenter "a consummate broadcaster and gentleman who lived an incredible life". He went on to discuss Murphy's music career, recalling how Murphy was produced by The Beatles producer George Martin and sang with Shirley Bassey. The Ray D'Arcy radio show Twitter account said that Murphy "was a dear friend of the show and loved by so many". Born in Dublin, Murphy was a graduate of Trinity College who moved to London in the late Fifties to follow his dreams of pop stardom, while supporting himself with a job as a school master. He appeared on British TV light entertainment show Music for You as a solo performer but also sang with Italian opera singer Beniamino Gigli and Robert Helpmann. In 1957, producer George Martin, who was then producing The Goons and would go on to produce The Beatles, gave Murphy a recording contract. He married Patricia the same year and several years later, toured the US and made guest appearances on numerous TV shows. On his return to Ireland, he presented RTÉ's first chat show, Visitors Book, and also became a producer/director, directing news and producing a weekly music show, Just For You. Oriole Records offered him a recording contract but changed his name to Mark Dwayne, enjoying hits with Remember Me Huh! and Little Bitty Heart. Murphy also recorded an album of Irish songs entitled A Nation Once Again, with each song representing a period of Irish history. In 1979, he began presenting on RTÉ's new music station RTÉ Radio 2, and in 1982 he was offered a hosting role on what was meant to be a 10-minute weekly filler slot called Mailbag for three weeks. Arthur's eccentric presenting style and self-effacing wit turned the show into something of a cult hit and he went on to present Mailbag for a further 14 years. 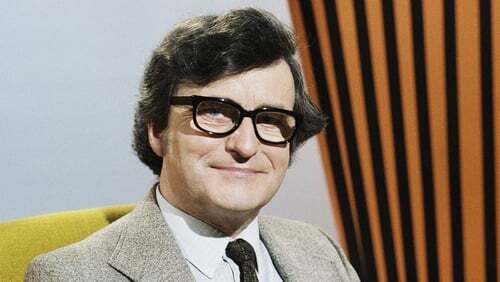 Speaking on Friday, RTÉ Director-General Dee Forbes said, "Arthur occupies a special place in Irish broadcasting history, having brought his own unique brand of warmth, respect and wit to his appearances on air, not least with Mailbag which became such a popular programme for so long among Irish viewers. "He had such a distinguished career in broadcasting in Ireland and the UK, something he clearly loved. That he continued to broadcast with the same unique delivery and wit to the very end is testament to his professionalism and to his popularity. "He will be sorely missed. Our thoughts are with his family and his many friends, both in RTÉ and across the world of broadcasting." His wife Patricia passed away several years ago and Arthur is survived by his two sons, Shane and Mark.